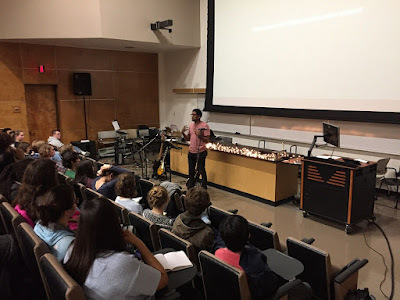 Confessions of a Campus Missionary: God is Faithful! Sirak's February 2018 Update! God is Faithful! Sirak's February 2018 Update! My friends! How is it going? I can't believe that we're already in March! February flew by and there's so much to update you on what we've been up to this month. 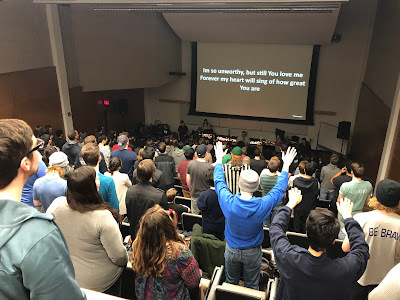 Right after winter camp, we hit the ground running with outreach events, our core groups, and jumping into sermon series' about "Social Justice" and "The Relationship of Faith & Science". 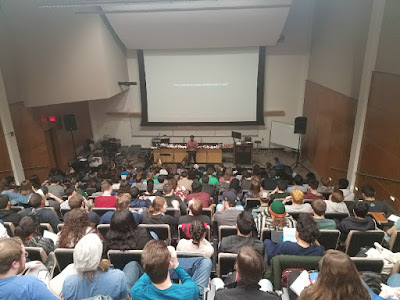 Our students really enjoyed the topics and there were many great conversations that opened up because of them. Over the last few week's, I have spent time thinking through God's unconditional love for us. I will be turning 30 years old this July and I have had some time to reflect on how much I've changed since my time in college. I think that one of the most perplexing attributes of God is his ability and willingness to love us for who we presently are AND have a vision for what we can be one day. There are days when I wish I was better, stronger, more mature, etc. and I think there are also days that I wish the students I spend time with were better, strong, more mature, etc. When I sit back and reflect on God's enduring patience for ME I am moved to humility and love for my brother and sister. Thank YOU so much for your support and friendship. You saw something in this either one year ago or five years ago when our missionary journey began together. You saw what could be possible and you joined in. That is inspiring and pushes me to live a life worthy of the gospel. Thank you for believing in me and our mission. Campus ministry is this strange environment where you continually need to see people for what they can become. Thank you for seeing what this could become and joining in with us. Enjoy the photos below and be encouraged! I had the opportunity to preach on the relationship between "Faith & Science". On our student survey that we took last semester, it was revealed that many of our students have wrestled with how to think through the relationship between faith & science. 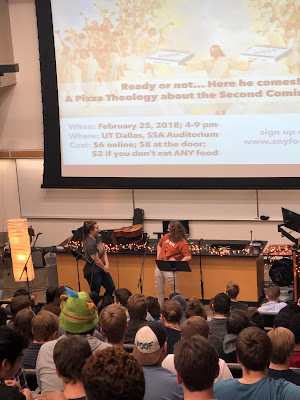 Sarah Glenesk, one of our campus pastors, interviewing a student about our upcoming event, Pizza Theology! This year we discussed the 2nd coming of Jesus - the event was titled: "Ready or Not..Here He Comes!" - our students loved it and received it with open arms. Our Richland FOCUS group from winter camp - I absolutely love this group of students! One of our UTD Friday Night FOCUS gatherings. I really love getting together with these students and sharing life with them. A picture of our group that came to pizza theology (all of the FOCUS campuses). They loved the topic an were engaged throughout the day. We had our event on a Sunday afternoon and were are always amazed at how students are so excited to talk about the deep truths about God and engage with one another! 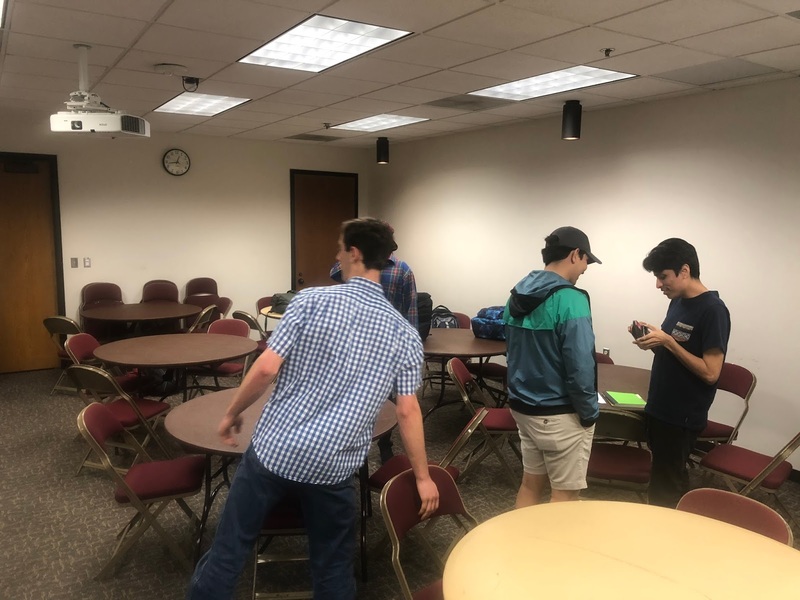 Every week after our Richland FOCUS meeting, our students always stay after, hang out, help put the tables back and spend time together. Love this group of students! Another picture of when I got to preach about our series: "Faith & Science". We have had such a large group of students attending our FOCUS meetings and God has been faithfully plugging students into core-communities as we have grown. Please be praying as we discern and think through our large group meetings and if we are meeting our goals of pushing for 1:1 relationships! Thank you so much for your support and partnership! I am blown away that I get to work with such brilliant people who love the Lord and are willing to walk alongside me. You all are such an inspiration to me and give me strength when I am weak. I hope that these pictures encourage you and are a reminder of God's faithfulness and what your support is going towards. I wish you all could see the faces and hear the stories of the students that you all are investing in but I am encouraged that you are still there with me through your partnership and support. Please don't hesitate to contact me if you have anything you'd like prayer for in your life!